450 m up in the Hajar Mountains. Dubai-based holding company Meraas has announced a series of major projects aimed at boosting the tourism sector in Hatta and advancing the social and economic development of the area. Developments are aligned with the directives of Sheikh Mohammed bin Rashid Al Maktoum, Vice President and Prime Minister of the UAE and Ruler of Dubai, which includes the 10-year Hatta Comprehensive Development Plan that he officially announced in 2016. Projects have been developed based on strategic plans managed by Meraas, with both design and construction adhering to the highest global and sustainability standards. Building materials were selected to complement and enhance the natural environment without compromising the geological integrity of the area or impacting the surrounding communities and ecosystems. “We have worked to establish effective partnerships between Meraas and the people of Hatta in order to ensure projects meet the aspirations of present and future generations and that the area is equipped to receive more visitors to historical, social and cultural heritage sites, as well as indulge in a distinctive shopping experience of handicrafts and agriculture products and enjoy authentic Emirati cuisine in Hatta,” he added. 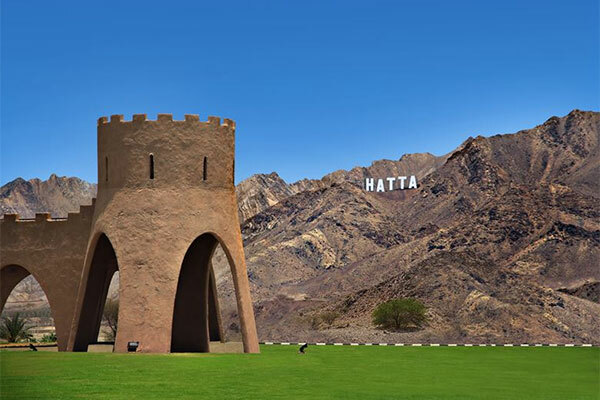 The first addition to Hatta’s tourism landscape will be giant ‘Hatta’ letters located at an elevation of around 450 m up in the Hajar Mountains, which provide the picturesque town with its stunning backdrop and represent the gateway to exploring the area. An adventure centre and interactive tourism information hub will also open, creating further links between visitors, tour guides and the people of Hatta. Developments are being kept away from local residential areas to preserve the privacy and lifestyle of the people of Hatta. The second phase of the project comprises a variety of additional hospitality and retail developments that are set to create further touchpoints between local, regional and international tourists, and the rich Emirati culture that exists across the UAE.